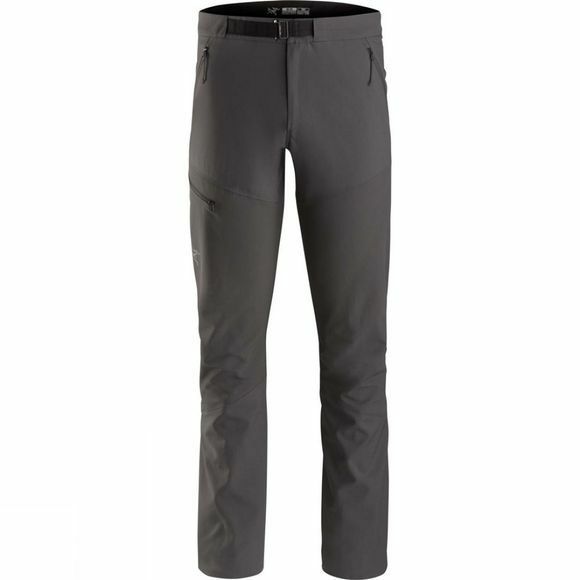 The Sigma FL Pant strikes the ideal balance between lightweight and durability. 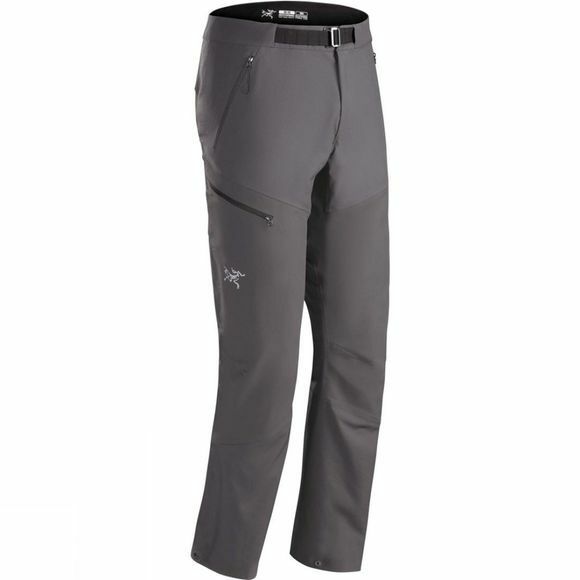 This versatile softshell pant is designed for fast and light tactics on rock, alpine and ice climbing routes. Material mapping places Wee Burly Double Weave reinforcements in the seat and knees and air permeable, 4-way stretch Fortius 1.5 in the body for increased mobility and reduced weight. The trim fit and tapered lower leg minimizes loose fabric and articulation enables full range of motion and a drawcord at the cuff seals out updrafts and debris.